High-Low: The Madness of Civilization: Goddamn This War! 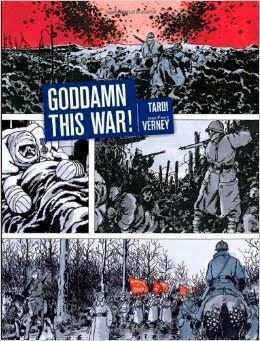 World War I was a subject that so enraged Jacques Tardi that he followed up his powerful It Was The War Of The Trenches with Goddamn This War! The former book was a series of disconnected vignettes that jumped around in time and gave the reader the simple blood and guts of the war: powerful new technologies that bewildered unprepared soldiers and made conventional combat obsolete; opportunistic officers; hypocritical and out-of-touch generals and leaders espousing patriotism in meaningless conflict; and a war engineered to further the rich and no one else. In Goddamn This War!, Tardi adds more structure and labors to create a narrative that follow a more linear temporal path. Each chapter covers a single year of the war, and Tardi enlisted the aid of World War I expert Jean-Pierre Verney to write an extensive appendix to the book covering the entire scope of the war on a similar year-by-year basis. Once again, Fantagraphics' beautiful design work makes the book look as good as possible; it was one of the last books that Kim Thompson edited before he died. What's most remarkable about bout the first-person narrative of the unnamed French soldier, as well as the highly detailed and opinionated essays by Verney is that World War I made no sense whatsoever, and even the soldiers knew it. There was no way to explain it without using the language of nationalism and jingoism. It was a vestigial attempt at fighting the same European wars for territory that had been fought for a thousand years, only the industrial revolution and the advent of market capitalism transformed it beyond the abilities of even the military's leaders to understand and shape in a meaningful way. It was a war of propaganda, of industry looking to expand, of nationalism whipped up in popular culture for catastrophic ends. Beyond the war's general pointlessness, Europe was turned into a mass grave by dint of the sheer stubbornness of its military leaders. Several of France's generals in particular simply didn't understand that hurling thousands of French soldiers at well-fortified German positions only guaranteed creating piles of French corpses. Add to this idiocy on both sides the notion that the war would be over in a few weeks only added to their recklessness with the troops. This was no longer the 100 Year War, the Thirty Year War or even the Franco-Prussian War of 1870. Wars were no longer fought on level fields with horses. WWI introduced such horrors as mustard gas, the flamethrower, advanced heavy artillery, air combat, advanced submarine use, grenades and tanks. 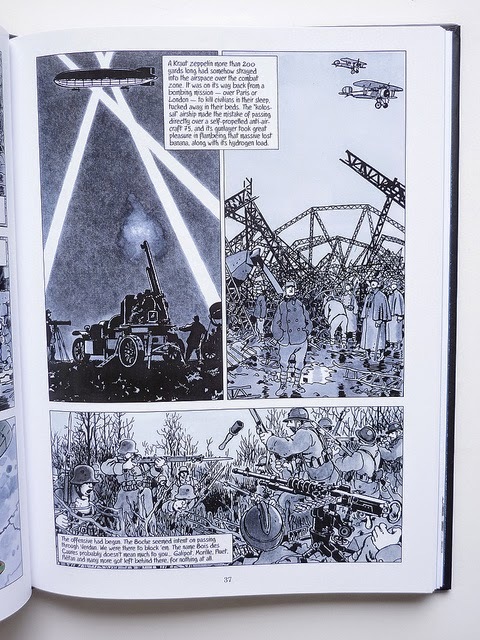 Tardi, through his sardonic and cynical narrator, explores the soldier's experience. The soldier on the ground literally had no idea what was going on in terms of strategy. He simply charged up a hill and attacked when told to and otherwise tried to stay alive in his trench. The war simply became unremitting boredom followed by chaos, frenzied orders and the hope for survival. All of this took place in mud and snow, in the mountains or underground, in the air and on the sea. The soldiers were ill-equipped to fight against new and frightening technology. Indeed, the Germans said after the war that their enemies won not because of their superior ability or strategy, but because of "General Tank". Even the highly-disciplined German lines couldn't resist the British tanks en masse. 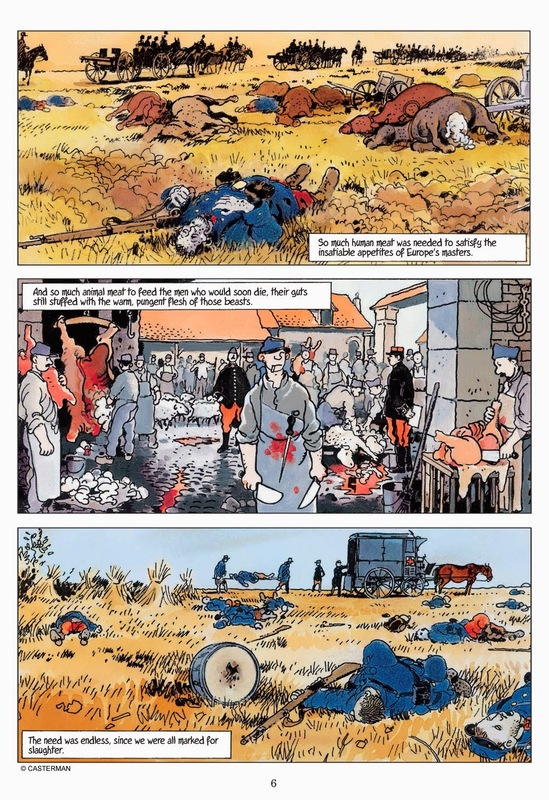 The best way to describe the conflict for the soldiers, especially from Tardi's narrative, is that it was like being sentenced to hell for five years--if you were lucky to live that long. When the armistice came, the soldiers were in disbelief that hell was now over. 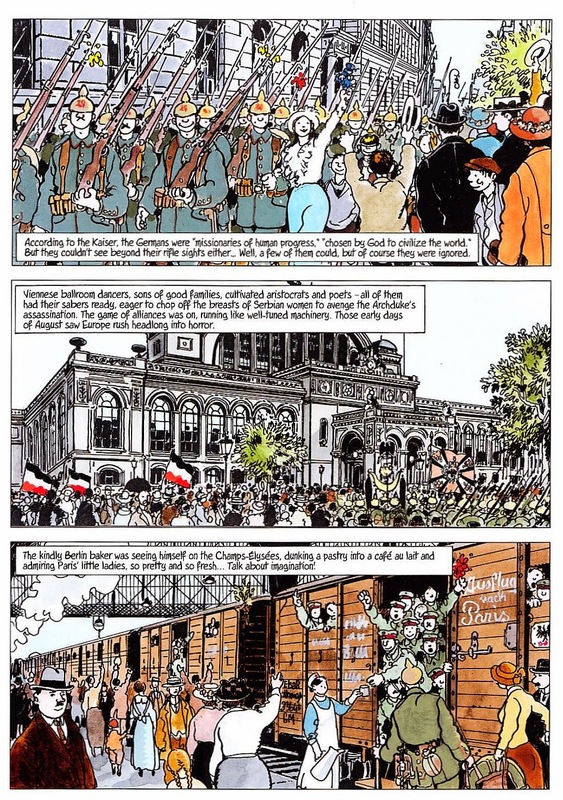 Tardi noted that their joy was understandable if misplaced, since so many lives had been lost and so much of France's infrastructure had been destroyed. 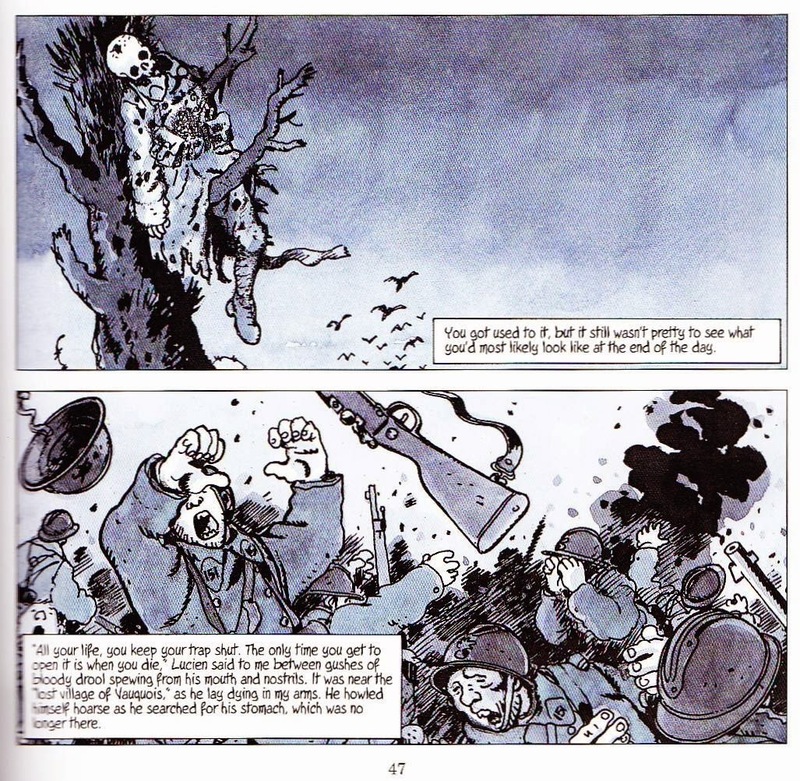 Tardi's soldier is seething with anger throughout the book and openly resentful of his officers while having sympathy for the enemies, "Les Boches". There's a particular German soldier he sees early in the war, when they managed to spare each other, and he often wonders what's become of him. Tardi's mastery of body language is a perfect fit with his slightly cartoony figure drawing. There's almost a touch of a bigfoot drawing style that's a touchstone of French cartooning. At the same time, he's fastidious with regard to details: he wants to know exactly what each weapon, each uniform, each battle looked like in real life. Despite that penchant for detail, the comic never bogs down into static photorealism. Instead, there's a slow, lurching quality to the narrative that gets across the stop-and-go nature of the combat. His use of color is a key storytelling technique. While starting off with all sorts of vibrant reds, blues and greens, the book eventually gives way to trench-gray and mud-brown, with splashes of red thrown in when blood's involved. He also highlights flags and officers as they appear, showing how incongruous these symbols and people are with regard to actual combat. Tardi is actually fairly restrained with regard to gore and violence throughout most of the book. There are the occasional scenes of a soldier trying to hold in his guts or a soldier with his brains blown out, but Tardi chooses to focus on the living more than the dead. That's until the last two pages of his chapter on 1918 (the last year of the war): they feature 3 x 3 grids where every panel is that of the disfigured face of a different soldier. These are faces deformed and reconstructed (as much as patchwork medicine would allow) by shrapnel, bullets and bombs. Each page is wordless, with each man in uniform. It's a powerful and even stomach-churning pair of pages, and it's a challenge for the reader to actually look at each panel in detail. 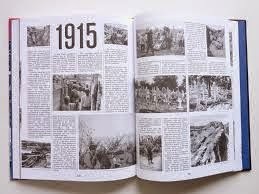 In the 1919 chapter, each page is stacked with three horizontal panels. Each panel details a different person's life and experience in the war. There's a Senegalese POW captured by the Germans, wondering what this white man's going to do to him. There's a soldier feeding his buddy stuck in mud with a long stick, as he slowly sinks. There's a nurse desperately trying to help tend to soldiers while wondering about her own brother. There's a piano in a wrecked building that's been booby-trapped by the Germans. There are children forced to work in German mines because there's no one else left. And so on, until we finally meet our narrator, sitting in a bar, missing one hand. It's a virtuoso piece that avoids some of It Was The War Of The Trenches' tendency to be a bit too on-the-nose with regard to its anti-war sentiment. Goddamn This War!, while going into great detail with regard to the conflict in a way that can be understood and compartmentalized, is less about war and more about madness. It's about the madness of what Kant would say is treating other human beings as a means to an end. It's about the madness of reifying arbitrary borders into a concrete identity called a "nation". It's about the total absurdity of being caught up in these situations, and how absurdity breeds tragedy when guns and uniforms are involved. It's about the danger of dogma when it doesn't take human lives into account. It's the work of a mature cartoonist whose exasperated outrage has given way to a simmering and more nuanced cynicism.